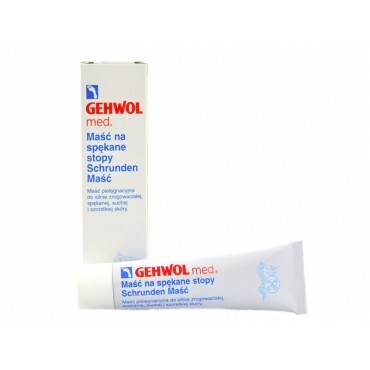 Gehwol Schrunden - skin care salve for severe, keratinized, cracked, dry and rough skin - 20 ml. Salve for the calloused, cracked, dry and rough skin of the feet. Contains natural essential oils, panthenol, bisabolol, high quality fats. Regularly applied improves elasticity and natural skin resistance. Brings relief from cracks and red skin. How to use: 1-2 times a day thoroughly massage into the skin of the foot, also between the fingers.